Hilton Garden Inn Albuquerque/Journal Center is conveniently located directly off of Interstate 25. 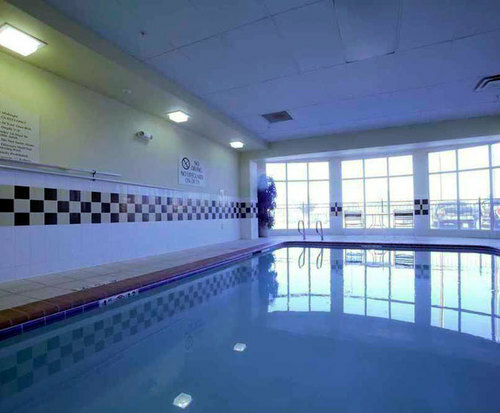 Take a dip in the hotel's indoor pool and spa or get a workout in at the fitness center. 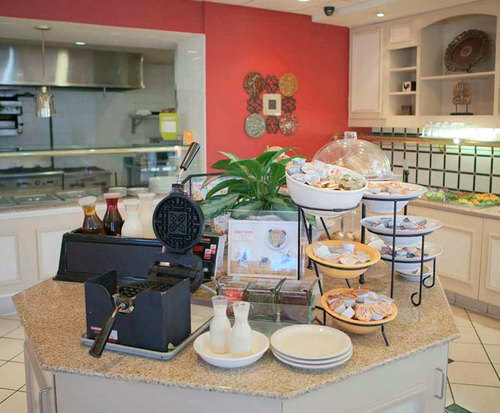 To order breakfast is also available at the hotel's restaurant for a fee. Hilton Garden Inn is a short drive from ITT Technical Institute,Cliff's Amusement Park, Gruet Winery and Putt-Putt Golf and Games. 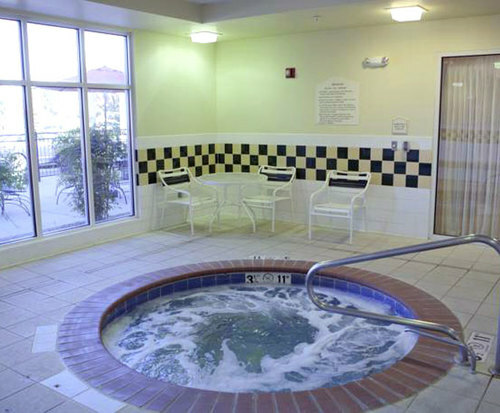 Whether visiting Albuquerque for business or pleasure, the Hilton Garden Inn can be a relaxing oasis from home. Sit by the fireplace in the modernly decorated lobby or take a swim in the indoor pool and spa. If a workout is needed, visit the hotel gym, which is outfitted with cardio equipment and weights. Enjoy a meal at the hotel restaurant so travel isn't required or grab a drink at the hotel bar. Each room includes a flat screen television, refrigerator, satellite programming, complimentary toiletries, hair dryer, a safe and free high-speed internet. The facility includes a business center, fitness center, 24 hour front desk, indoor pool and spa, laundry facilities, computer station, restaurant and bar/lounge. Conference and meeting rooms are also available. There are plenty of dining options available with Blake's Lotaburger, Starbuck's,Taco Cabana and Torino's Home just a half mile away. Shopping at Target, Walgreen's and Sprout's Farmer's Market is just a mile away. The University Stadium is a short drive, located 2 miles from the hotel.